A Thanksgiving note to you. Thanks for your donations. 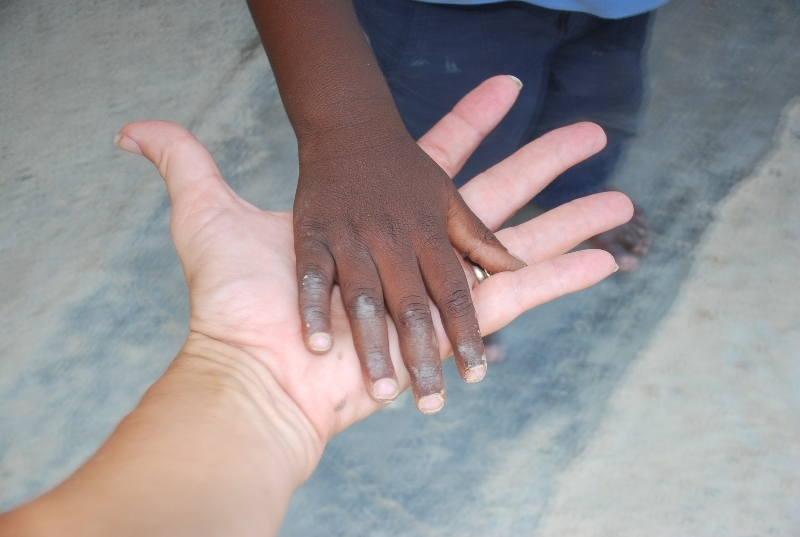 Hand in Hand...that is how this year has been for our family. Your hand extended to ours. Thanksgiving is one of our favorite times of the year. We work hard at being thankful. We are thankful to God for allowing us to be a part of His Plan. We are Thankful to you for being a part of our story! Words alone can not describe or express our gratitude to God and to you! Thank you! SPECIAL NEED!! We need your mailing address! We will be sending out a snail mail prayer card this December! Please email us your address so that we don't miss sending you one. Life of a missionary can be tough and one of the hardest things is being away from family for important events and holidays. Would you help this Christmas be not so lonely for us? Please consider adding us to your Christmas card or photo list this year. This will not only help us not be quite so lonely but it will also help us remember to pray for you in December and throughout the year. Enjoy your family and friends this Thanksgiving season! 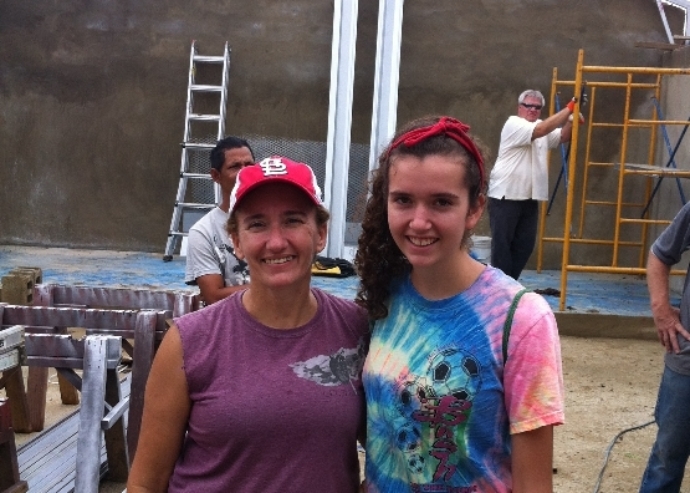 Debbie & Hannah at the last chapel build site. Jesse & Ned Jesse loves being up on the scaffold and putting the tin on the roof. 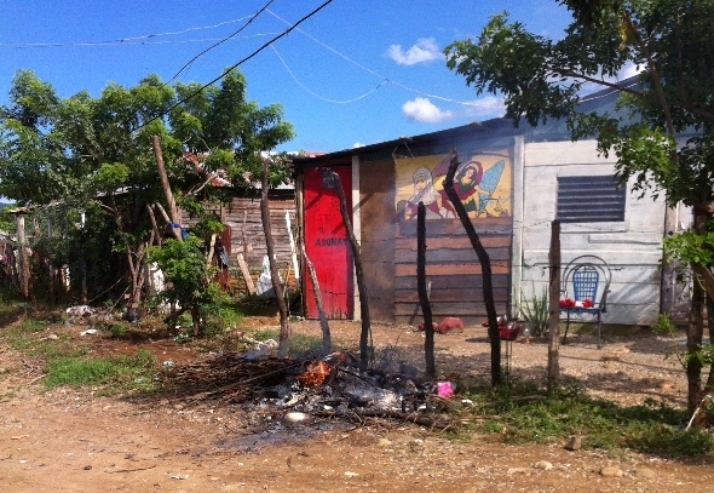 Burning of demonic materials and shrine. The home got a new paint job also. 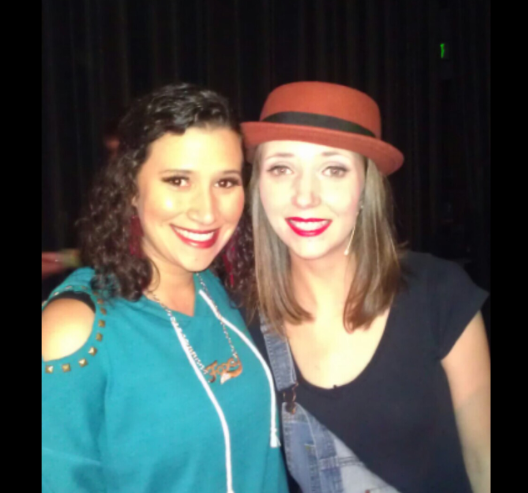 Sammi and Lisi enjoying the All-Access tour. Sammi went as a nanny but is now learning sound and has been in some shows. Bringing the light to a dark community. Cien Fuegos is a very poor area of Santiago. It comprises an estimated 1/3 of the population and was started out of fires that destroyed homes. The fire that burns there now is the fire of God. 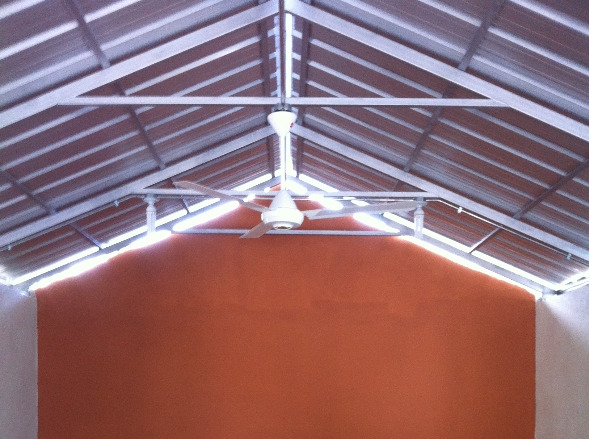 This Chapel Project that we helped with built a small chapel in a barrio of Cien Fuegos called San Miguel. Three weeks before building the chapel we prayer walked this area. God highlighted this witch doctor aka self proclaimed sorcerers house (shown above) to me. For three weeks we prayed for this area and against the darkness there. It was a rainy, muddy week building the chapel and one day it rained so hard that the evangelism team had to stay back to pray all day and the next day they were only able to go to local schools because the roads were too muddy to walk. These weeks of prayer were what was needed to soften the heart of the witch doctor. Not only did he give his life to Lord and burn all of his demonic paraphanelia but he also made sure the boards on his house were torn down and re-painted. He is now serving the Lord whole-heartedly and faithfully attending church and working to turn his life to God for himself and his son and extended family. It truly is a story of light overcoming darkness through weeks of prayer and obedience to share the Gospel to even the darkest souls. Please keep Indiel and Jansler in your prayers. Thank you for being a very important part of our lives. 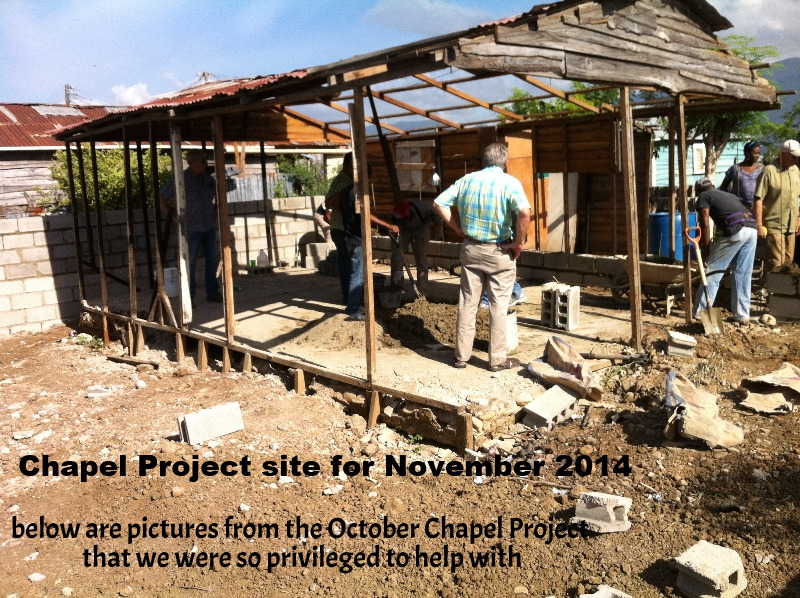 We have been blessed to be involved in 7 Chapel Project builds. As full time missionaries here in Santiago, we also are privileged to visit and preach at many of these chapels during the year and see many of the people that are impacted. 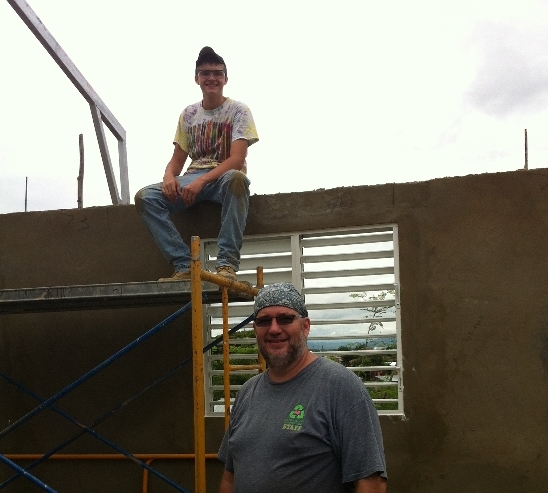 Above you see some pictures from the latest chapel project build that we were a part of. It was #7 for us and what a privilege to get to work alongside the crew from Chapel Project and also the pastors here in Santiago. This week we start our 8th Chapel Project build. Please pray for safety for the crew. A little perk of being here in Santiago full time is that we can go and visit these churches after they are built. Many times as I preach there are many new faces in the crowds. 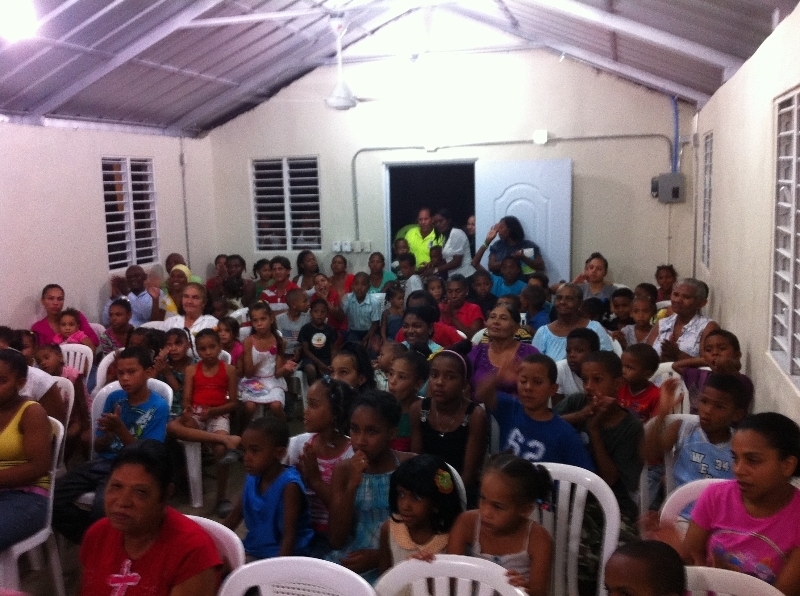 When groups come and want to work with kids, we can easily set up a VBS in most any of these areas and use the church. What a blessing it has been to work with these churches. We are making lots of friends and we run into friends around the city that often recognize us (the gringos) before we recognize them. They will tell us which church they live by so that we know who they are. Hannah and Jesse got in a concho (a public taxi on a fixed route) the other day and the driver just kept smiling at them. Hannah was not sure who the creepy smiling man was until they got out at their stop and he showed them his son's picture told them that their mom liked his son and that he was my friend. Then Hannah realized that he was the man who lived across the street from the last chapel that we helped with. The man was quite excited that they had ridden in his concho. Even a city of over 1 million people is small sometimes. Funny thing is the church is a good 30 mins from our end of the city. But what a reminder that we are small but God is huge and has a plan for us. We are reminded often that we are making an impact for God and that we are being remembered where we go. We are also reminded that we are watched and need to make sure that we are living a good example to others at all times. We never know who is watching us and seeing how a "Christian" handles things. A very serious revelation that we don't take lightly! Who is watching you? Who is watching your life and seeing how you will handle the next thing that comes your way? The Mystery of Missions! Our New Opportunity! Our new opportunity involves the youth at our church, Oasis. We have attended this church since we arrived and have been more involved lately. Our small group and the youth meet every other Wednesday, however, this week we will start a new program for the youth on our "off" week. We have named it The Mystery of Missions because to so many here missions is a mystery. We will "debunk" some of this mystery over the next 8 weeks. The youth really want to reach out in their own communities but don't know how. We will teach on the topics of they have what it takes, some tools to use when evangelizing, how to make a plan for an outreach and execute it and how to make missions a lifestyle! Please join us in prayer for this new opportunity! Thanksgiving and Christmas are coming! Please be in prayer for our family during this holiday season. Last year didn't seem too hard as it was our first and "new" in many ways but this coming season is already seeming a bit tougher. We are well but miss family and friends a lot. Christmas is already here in the DR. There is no Thanksgiving holiday so they start about October 1st decorating. As for Thanksgiving it is really weird to celebrate a holiday that isn't even a holiday here. We had dinner with friends last year. We will see what God asks us to do this holiday season. But we do ask for prayers as it is much different away from home. We are looking forward to Sammi's return on December 16th! It is strange without her! We are in need of purchasing our own vehicle. 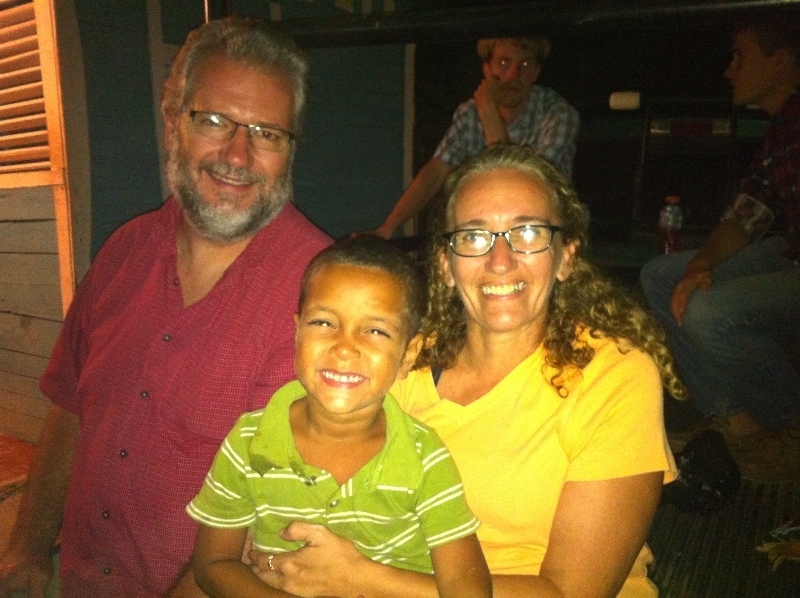 We have been blessed to be able to use the YWAM Santiago truck and just pay for the mileage that we use, however, we are at the point where we need to purchase our own car. We have the opportunity to purchase a car for $6300 US that is a diesel and may serve our family well. Please pray for wisdom for us and also please pray if you are to contribute and help with the purchase of a vehicle for us. These words are so small in comparison to the gratitude that we feel towards you! Without you, we could not be serving here in Santiago! We do not take lightly this opportunity to represent Jesus to so many others. 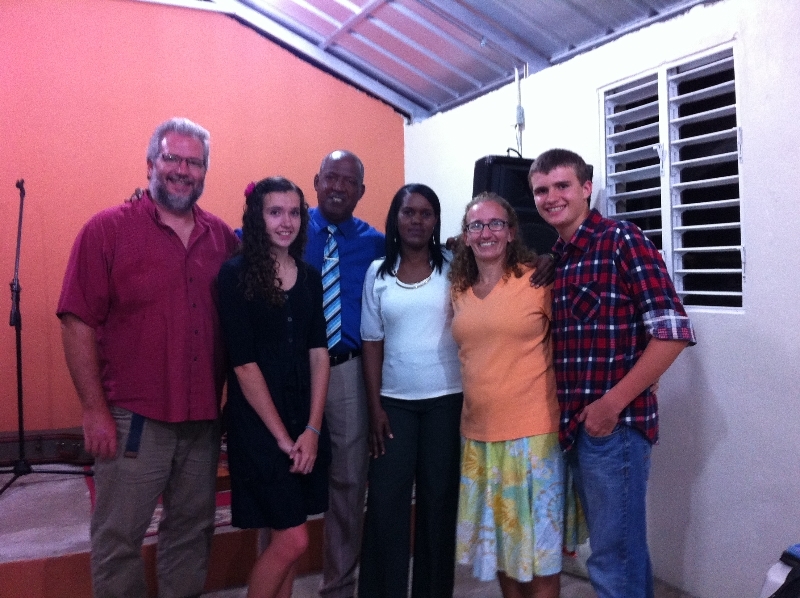 And we also represent you our supporters and our churches and YWAM. We work hard to make sure that we commit to only what God has told us to commit to and to make our plans and stick with them. So thank you! Thank you for your support! Thank you for your prayers! Thank you for being on this journey with us!